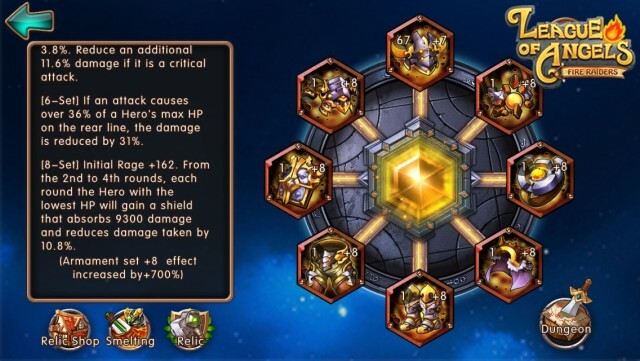 The developers of League of Angels - Fire Raiders are working with the new feature Relic for the next update. 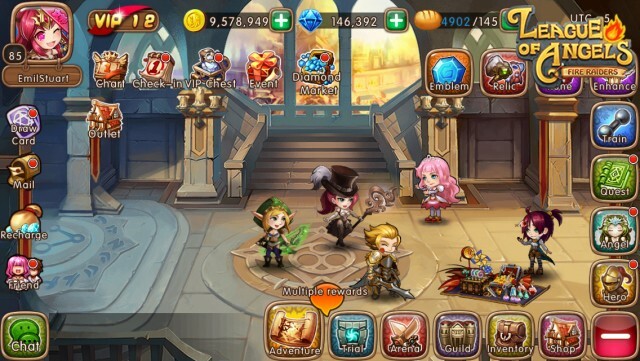 With version 2.3 we are excited to introduce Relics to League of Angels - Fire Raiders! These ancient heirlooms of immense power are said to have been left behind by the gods themselves. Scattered and long forgotten, the recent discovery of these Relics has sent Angels and Heroes running to claim their strength. You can think of Relics as a set of equipment for your whole army. They provide bonuses that apply to every Hero you send into battle. 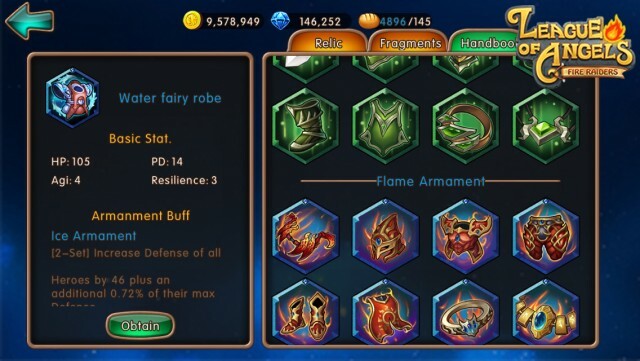 Apart from base stats, Relics also feature powerful set bonuses that unlock when you equip pieces of the same set. These set bonuses are not just simple stat boosts, but powerful effects such as a shield for your team every time you start battle. There are 3 sets of Relics and multiple quality versions of each set. Relics are a long-term investment. Much like heroes, take the time to slowly cultivate them and they will become invaluable to your army. Relics are obtained through a brand new Relic Dungeon that is also coming in the new version. 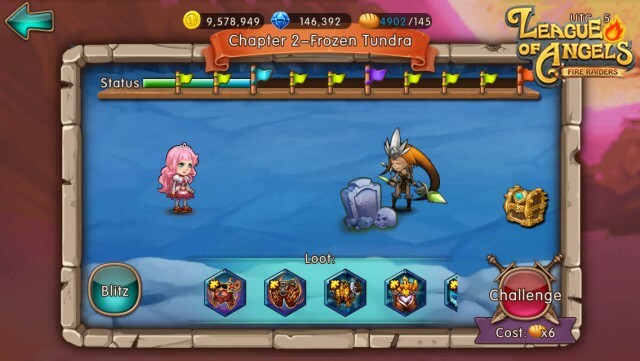 Conquer this challenging dungeon and you will be rewarded with Relics, Relic shards, Relic tokens (the new currency in this mode) and other materials. You will face enemy 2-3 enemy teams at a time, so make sure your army has enough strong heroes. The rewards get better as you dive deeper into the dungeon. This new PvE mode also features a new crafting system for Relics, where you can upgrade your Relics using Relic stones, or smelt the ones you don’t need. Relics bring even more customization and strategy to Fire Raiders. If you find your defenses lacking, use the Earth Armament set to toughen up your team! If you need to squeeze out more damage, try the Flame Armament set. You can mix and match to get multiple set bonuses from different sets, or focus on a single set to reach the powerful 8-piece bonus. The choice is yours! Use Relics to ascend your Heroes to new heights! We look forward to seeing everyone in version 2.3.